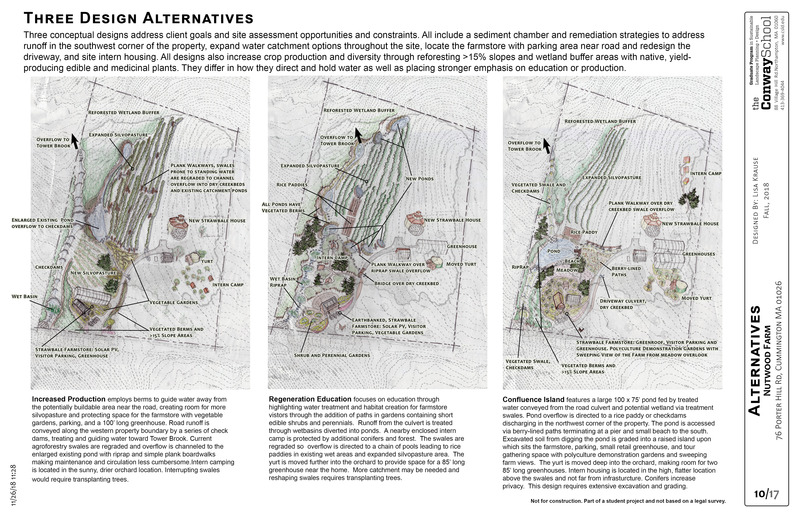 In the fall of 2018, Nutwood Farm was selected as a project site for the Conway School of Landscape Design in Northampton, MA. Student designer Lisa Krause worked with us to map our farm and come up with a detailed plan set that would incorporate our values, management strategies, and production goals into a all-encompassing farm design that we could slowly implement over the next 5-20 years. We are please to share the final design set. Thank you Lisa for all your hard work, perseverance, and super positive energy and excitement throughout the entire process! All credit for text, images, and design work ©Lisa Krause 2018. Permission from the author must be requested prior to any duplication or redistribution. Thank you!